As we all head towards a much needed rest after another exciting term, I’d like to express my thanks to all the staff who have gone the extra mile to ensure a fulfilling educational experience. There have been many activities in which your daughters have been involved over the past weeks: the MSA Orphans Fun Day, the Ignition Camp, Grade 9 Market Day, Inter-House Plays, π Day, just to mention a few. Along with this, each of the girls has had assessments during the term and will be receiving their first ever electronic report on our new Parent Portal ‘Engage’. 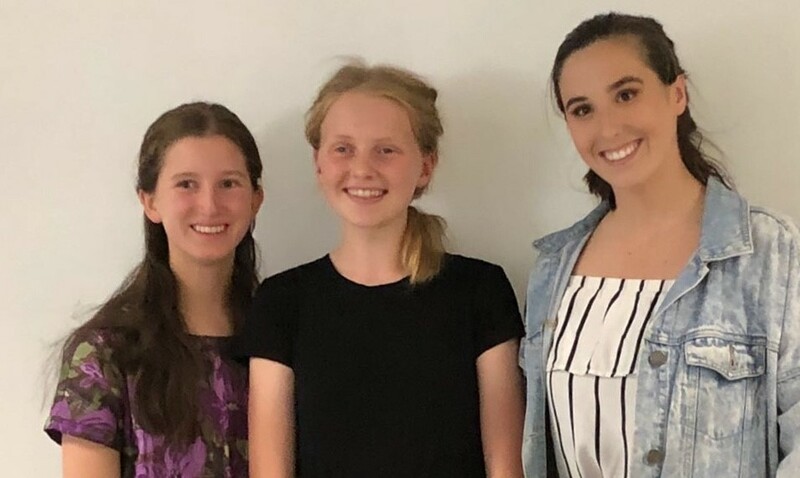 During the next week the Grade 9 and 11 girls will be away on their respective camps and I’m sure they will enjoy these as they get an opportunity to extend their leadership opportunities. We are sad to bid farewell to Ms Hilana Marais at the end of this term as she embarks on an exciting adventure in the Eastern Cape. She hopes to stay in contact with our girls and to be organising some surfing camps over the next couple of years. We wish her well. 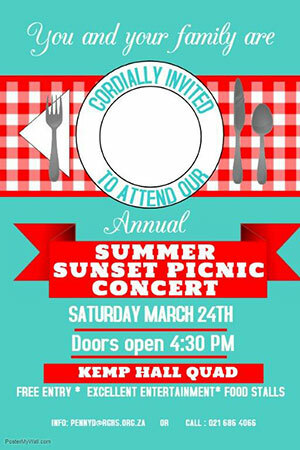 I encourage you to take up the opportunity to attend the free SUMMER SUNSET PICNIC CONCERT this Saturday from 4:30 pm. It is a lovely relaxed event and a wonderful time to catch up with other parents. 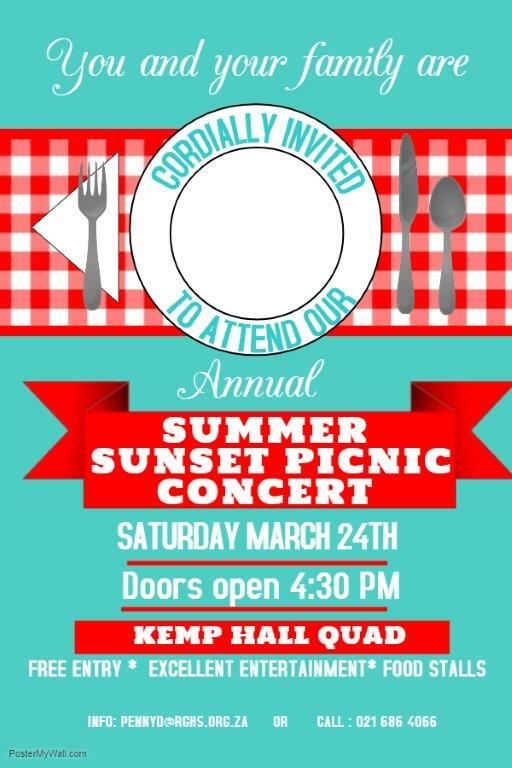 Bring your own picnic or purchase something at the stalls but do not forget something warm for when the sun goes down. Please note that RGHS will close for the school holidays at 11:00 on Wednesday, 28 March 2018. Term 2 starts on Tuesday 10 April 2018. This is Week 1 (Day 1) on the timetable. Please note that there is much work to be covered before the mid-year examinations commence. 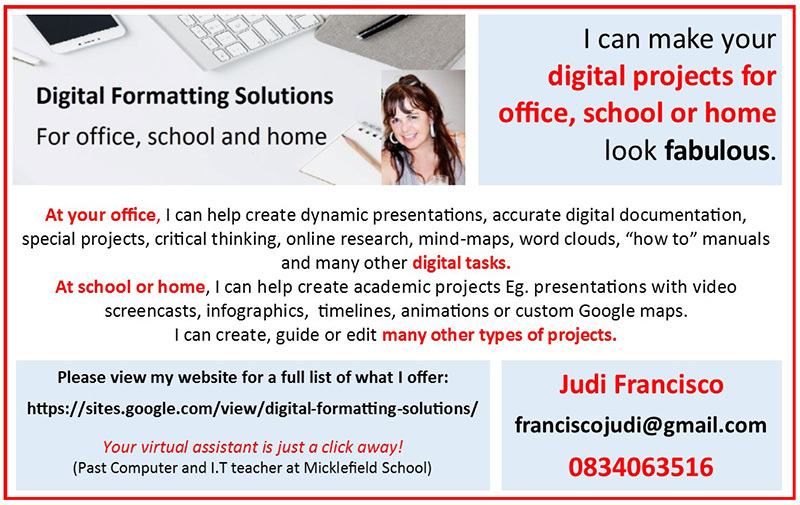 Learners need to be at school every day, for the full duration of the school day. 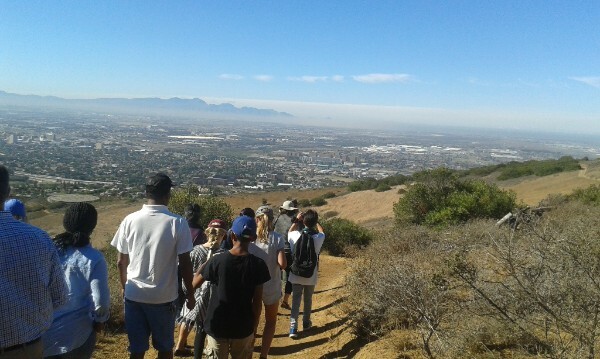 and on the first Saturday of Term 2, 14 April from 9 -11 am. SGB Elections: We were unfortunately unable to raise a quorum of voting parents for our Election meeting on Monday night. As a result, we will revert to the backup date as published, namely Monday, 26 March 2018 at 17:30 for 18:00 in Charlie’s Hope. Please make every effort to come and vote. All parents have been sent an email inviting them to the new Parent Portal. 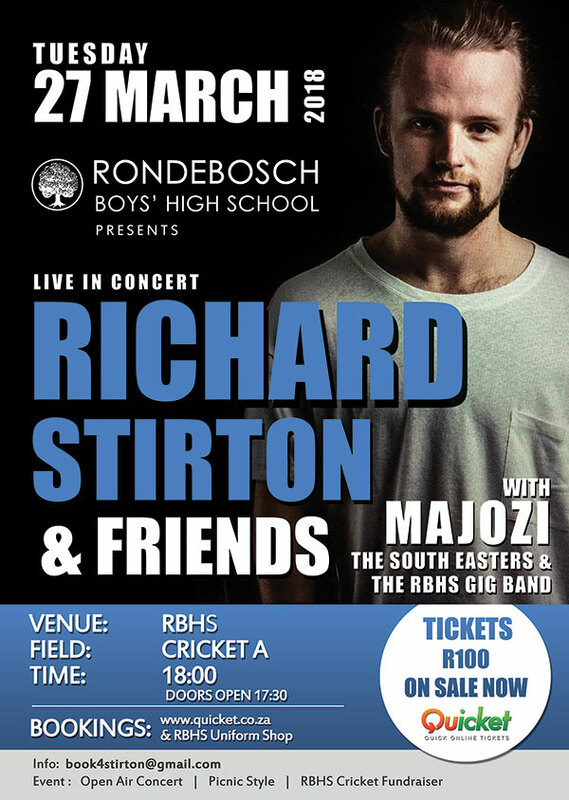 If you did not receive this email or have problems connecting, please email info@rghs.org.za. Look out for an email alert when reports are ready to be viewed. Please discuss your daughter’s report with her over the holidays and decide which teachers you would like to see. Booking sheets will be available at the start of next term, so please ask your daughter to make the necessary appointments at times that are convenient to you. It is important that the girls are also present at these meetings, to discuss their work and we ask that they attend in school clothing (i.e. either in full school uniform or in their sports clothing if they have come from a practice or a match). Later this year the Grade 9 girls will choose subjects for the FET band (Grades 10 to 12). Attention is drawn to the fact that learners will have to prove that they are capable of coping with the demands of a subject in Grade 9 in order to be allowed to continue with it next year. For example, learners who wish to take subjects such as Design or Visual Arts in Grade 10 will not be considered if they do not pass and/or complete all their tasks in Grade 9 Art this year. In some subjects places are limited and, in such cases, will be allocated on merit to the most deserving learners. Learners are, therefore, urged to work hard and get the best possible marks. Grade 9 girls need to make sure that they hand in all their work and meet deadlines in the various subjects to keep their options open for Grade 10 next year. On Monday, 19 March we were fortunate to host Bianca M Rhym, an electrical engineer at NASA's John F. Kennedy Space Centre. 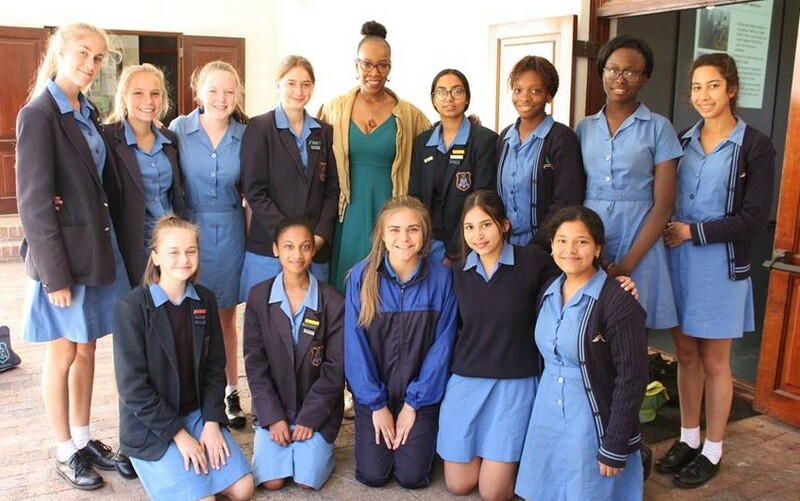 Bianca spoke to our girls about her work at NASA and about being curious and following one's dreams. Thanks to our Campus Manager, Mr Myles Siebrits, for continuing to fly the Rustenburg Green Flag! Read more about his visit to Wynberg Boys' High School, featured in the Tatler of 15 March. Ms Barrett-Theron has been extremely busy with her own sports trials. She has been selected to represent Western Province Touch Rugby as well as Western Province Netball. 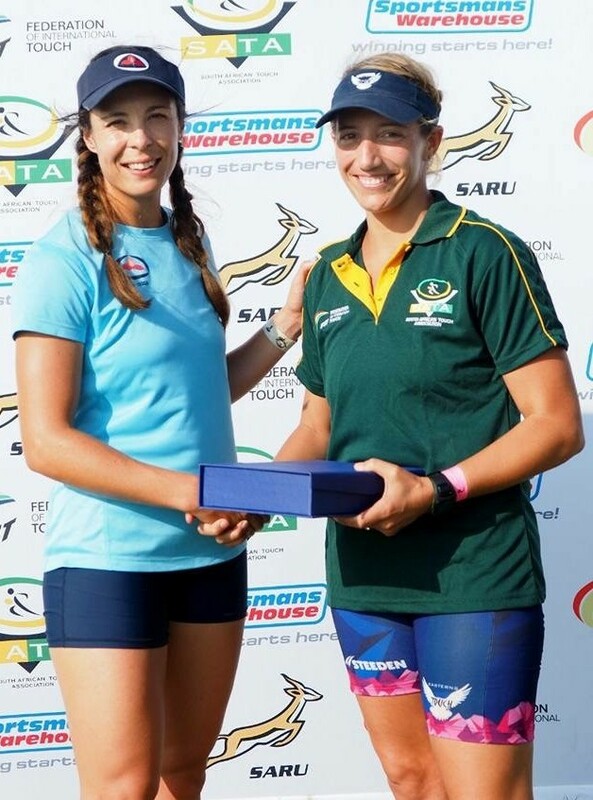 Right: Ms Barret-Theron receiving the Most Valuable Player Award at the Inter-provincial Touch Rugby Tournament In Durban. 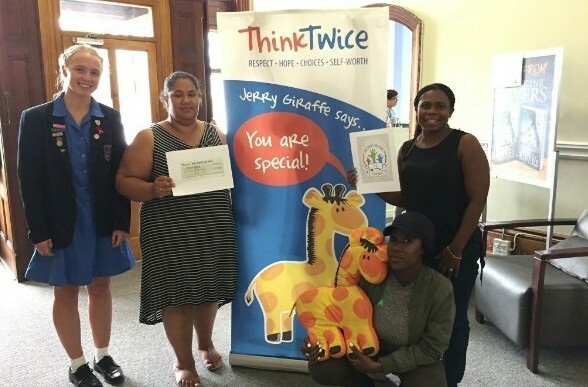 Hannah Schaefer raised R2800 by selling bracelets for Think Twice Charity, a life skills programme for children and educators. Well done Hannah! To advertise in this Weekly Bulletin, email NewsAndPress@rghs.org.za. Details are on our website. When following up on adverts, please mention that you saw them in our Bulletin. Please note that placement of an advertisement does not necessarily indicate endorsement by the school. 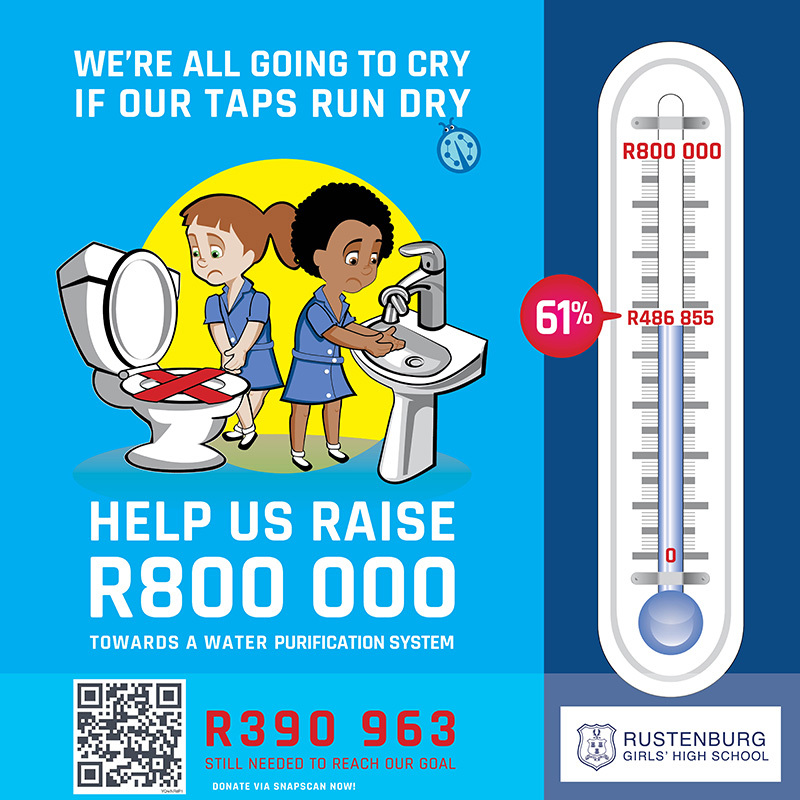 Copyright © 2018 Rustenburg High School for Girls, All rights reserved.